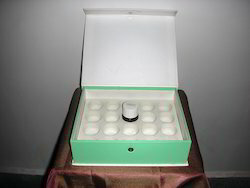 CODE NUMBER: AR-KCBF-009 SIZE : 4.00" x 5.00" x 2.00"
We offer a superb selection of presenters " Luxury line of wooden boxes to give your product the desired high end positioning. 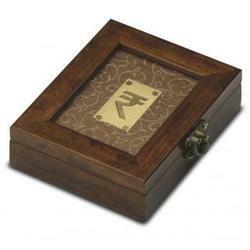 We are the leading Supplier and Manufacturer of Sari Presentation Boxes. Dry Fruit boxes, sweet boxes etc. We are remarkable entity, engaged in offering superior quality Dry Fruits Presentation Box.